Experienced and knowledgeable tutor looking to help you grow! Hi, my name is Henry, and I am a knowledgeable and experienced tutor looking to provide educational services tailored to assist in your intellectual growth. 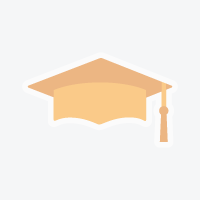 My approach to teaching is simple: I aim to provide lessons tailored to your specific needs. I understand that for you, it is important to not only ensure you learn lots, but also for you to enjoy their lesson and the practice of learning as well. I want to make learning an enjoyable experience for you. A little bit about myself, I am currently a candidate for selection for the Royal Military College of Canada. I consider myself well-rounded in knowledge, and as a teacher, consider myself to be very likable. Professionally, I am an experienced music teacher as well, having been teaching all age groups for 3 years. I currently work for 2 music teaching companies, Key Mobile Music and Custom Music Lessons, as well as for myself, and have lots of experience working and teaching children as well as adults. My rates are $25/hour for travel to your home or $20/hour for lessons from my home. I can also arrange Skype lessons if you would be interested in that. If you would require anything of me, please ask and I would be happy to provide that for you. My number is 647-262-... (I am originally from Toronto) and you can email me too at ...@gmail.com for an opportunity to speak with me and get to more about me, my services, and determine if I would be a good fit to as a teacher for you. I can also provide a criminal background check upon request. Let me help you grow, learn, and LOVE learning to grow! Looking for a nursing tutor! 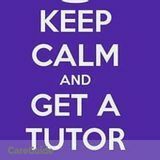 Tutor available for Math , Physics , Calculus, Electronics.